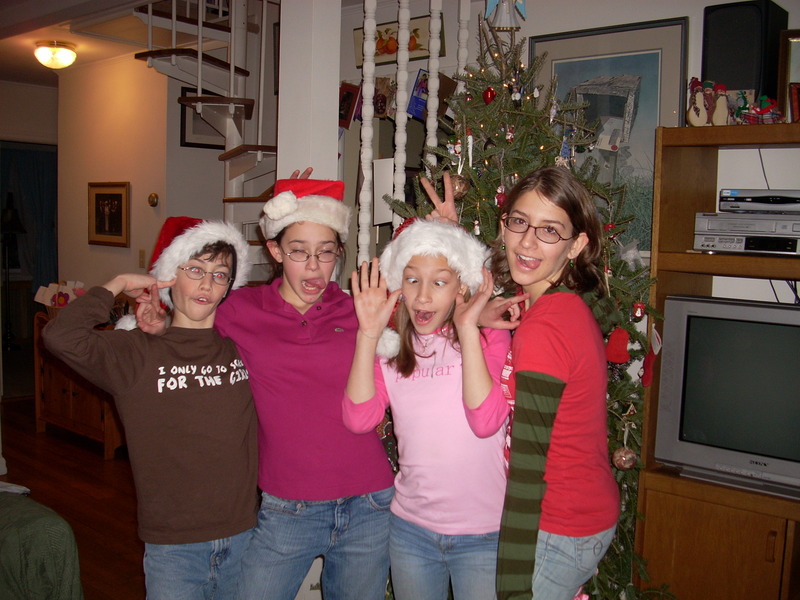 Flashback to 2007 … and Christmas when it is supposed to be celebrated. That was back when things were far less complicated, schedules not nearly as full. 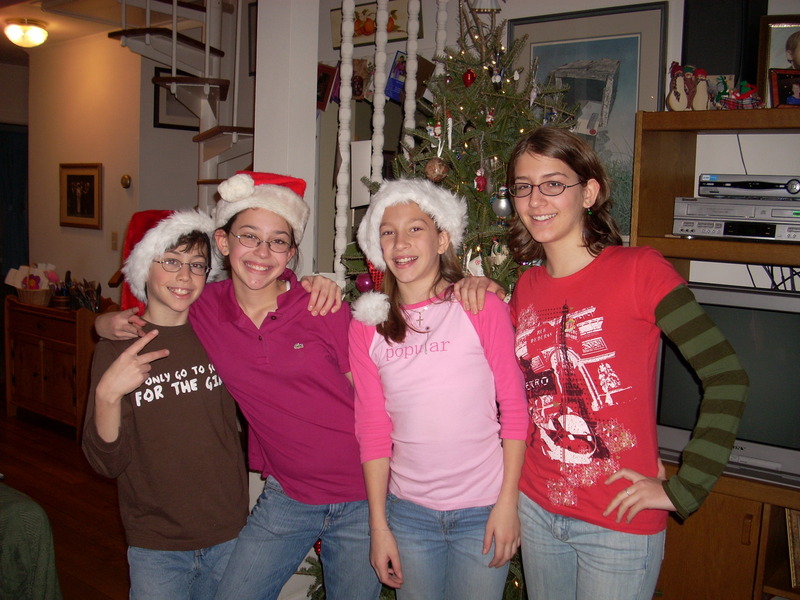 Back then, we could celebrate with my best friend, Jacquie, and her family right then, in December, when the tree was still decked out in all its glory. We tried to take turns between Greenwich and Rhode Island, and then made it a point to see each other again in the summer. These days, with two of our four kids in college, the youngest a competitive gymnast and life’s many other obligations, it can be tough to gather everyone. Our visits are often drive-bys, quick stopins on the way to this college or that vacation destination or meeting. Often only some of the group is on hand. Today, we will celebrate one last 2013 Christmas. You see, Jacquie saw an open day on the calendar and rallied the troops. They will be here later today. It won’t be nearly as boisterous a visit as some have been, what with silly games and wrestling matches that needed parental interference, giggles in pajamas or even bath time for four (I have the photos and expect points for not sharing them here). It won’t be like the warm summer day when they were small and we descended on the Mystic Aquarium, visited with the marine life and had lunch. Or the time they posed in Halloween costumes on our front lawn; or when we surprised Dom with a visit at Boy Scout camp. It may not even be like our visit to Rhode Island in 2011, when three of the four piled in the car to go to the movies, with Dom, the newly minted driver at the wheel. I’m pretty sure, though, that it will be a lot like this — and I can’t wait! Looking forward to celebrating! So glad CT is “in the way” of RI.